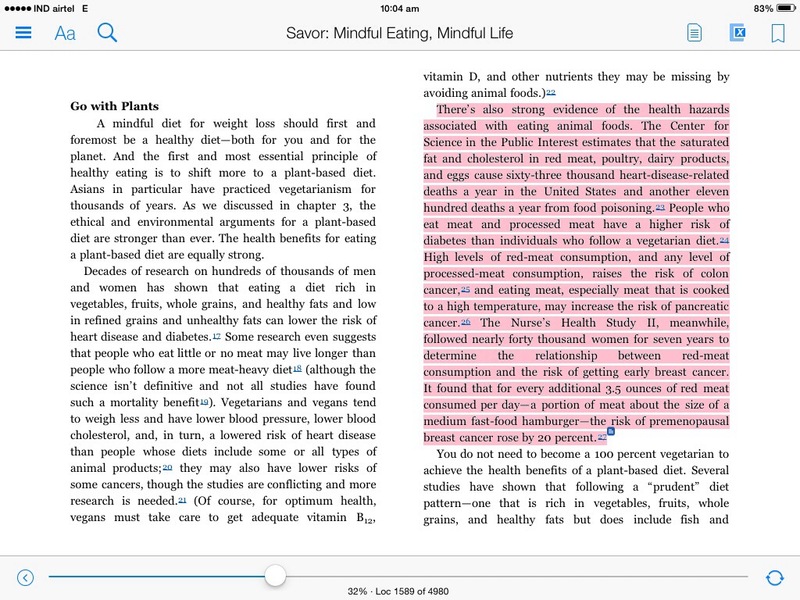 I started reading this book just before the New year called “Savor: Mindful eating, Mindful life”. 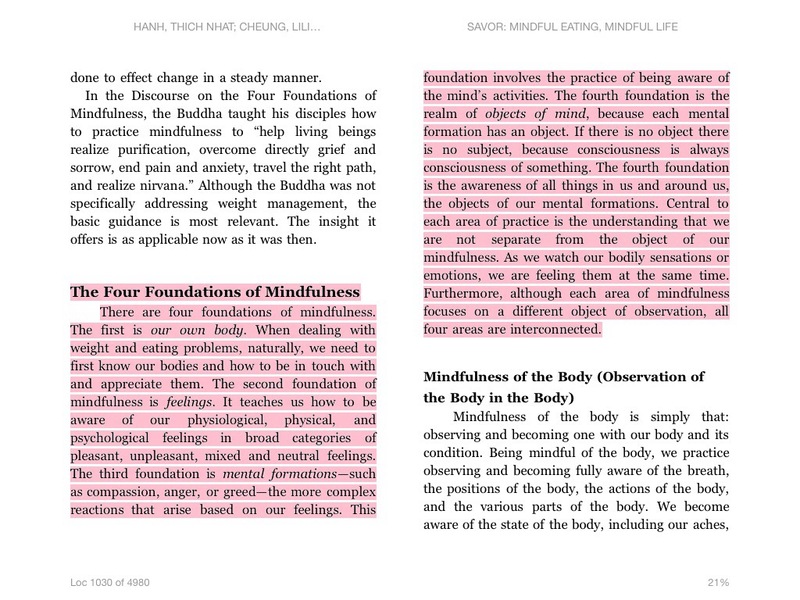 It is written by the Buddhist monk Thich Nhat Hanh and Dr. Lillian Cheung. 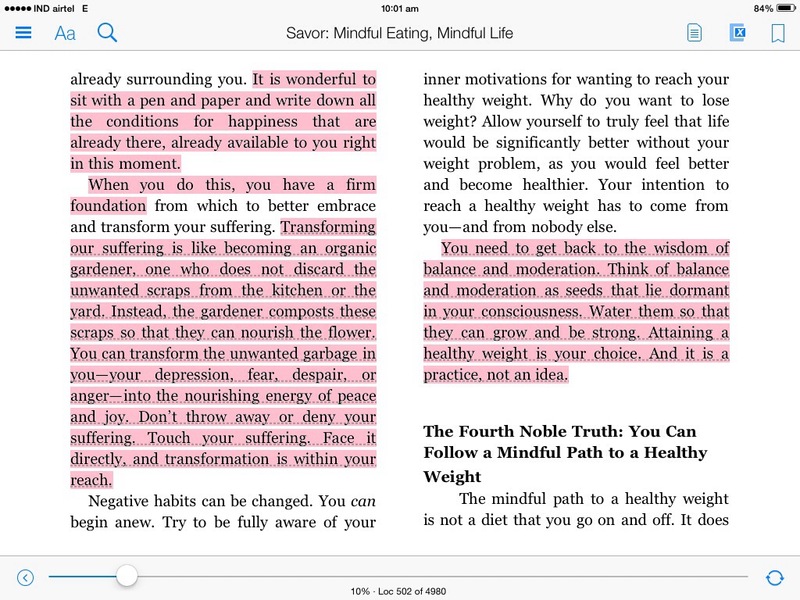 The central theme of the book is to live our lives mindfully, eating, moving and breathing with mindfulness. So to some it may seem like the modern version of Buddha’s sermon, and it is, but it also offers other important insights that are very practical and for a regular person who may not be inclined towards Buddha in this life. A very important insight that this book offers is a direct correlation between how much time we spend in front of the television and how heavy we are – the idiot box makes us fat !! For the past three weeks we are without a television at home and suddenly I find that we are talking more as a family, reading a lot more, there is time to move around … And all this for a bunch of people who don’t watch TV much. My mother doesn’t watch a single serial (soap opera), Krishnan mostly watches news and National Geographic or History channel and I only watch movies. The fact is – news is repeated a thousand times, movies are repeated and since we don’t use our minds while watching TV we don’t realise how much time passes by. We did make the mistake always of eating food while watching TV, thinking its easy to do that, not realising that we probably ate more than we needed. So it is a good practice that parents had and have – to restrict the time a child watches TV. Bring it down to an hour a day and only after you have done some important stuff before that – completed your homework, reading, running etc. This is so typical of not just America but our generation – we develop complicated solutions for complicated problems that we created in the name of progress. The Prius is a marvellous piece of engineering, but we need not have spent as much time and money developing it if only we had remained vegetarian 🙂 All that effort could probably have got us something more valuable that added more life to Earth. Just think of the whole global warming and the “go green” wave in the world – we moved away from being in tune with nature and now are trying to preserve nature – sounds crazy. In my grandmother’s house, food was served in plates made of leaves, or a Banana leaf, and you had to sit on the floor to eat, no TV to distract you from eating and the “plates” became fodder for the cow. Ofcourse my grandmother was a genius, she would not waste the seeds, or the skin of most vegetables and make them into chutneys ! Nothing got wasted and the food was nutritious. Am sure most grandmothers were that way, but we have moved so far away from that way of living. An old post of mine is so relevant here Leela of life. 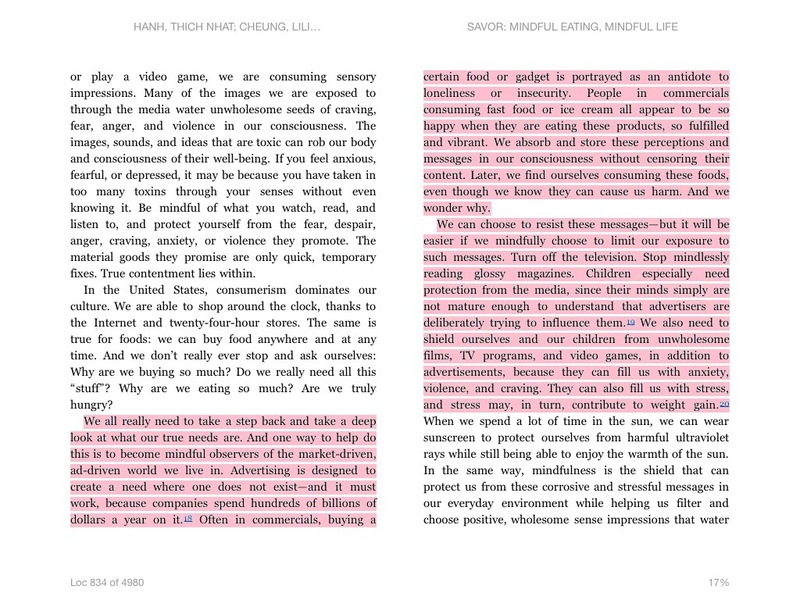 Here are some more excerpts from the book that I think are very relevant and useful. 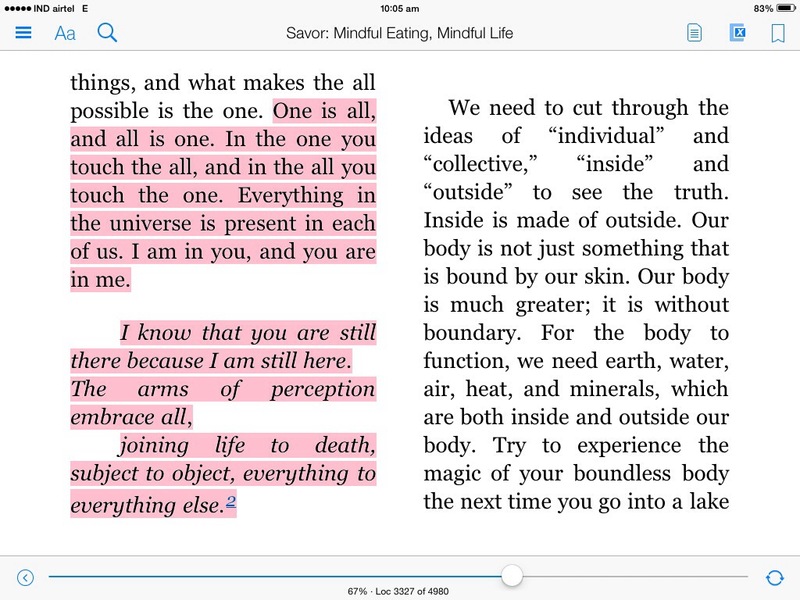 Overall, it’s a must read to get out of our autopilot mode and really start living.